It’s Oscars time! In the lull between the end of the playoffs and the Super Bowl, something has to fill the void. That void is filled by the granddaddy of all Hollywood award ceremonies, the Academy Awards! 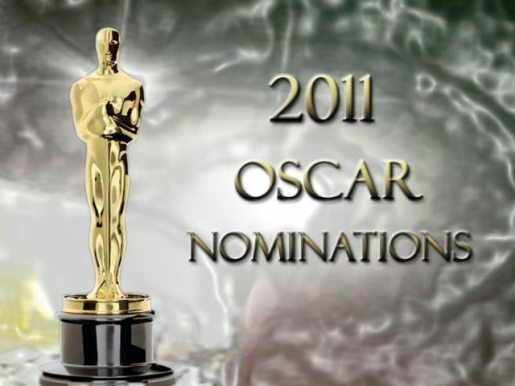 Den of Geek has the full 2011 Oscar Nominee list here, for those interested in the technical awards. This year’s ceremony will be hosted by Anne Hathaway and James Franco in a bid to attract younger eyeballs to the 83rd edition of the venerable awards ceremony. Here’s a quick run-down of the major awards, with my projected winners in italics. Of the movies I loved this year, all are well represented, with The Fighter landing three supporting actor/actress nods and best director; The Social Network landed best picture, best director, and best actor for Jesse Eisenberg; and Black Swan getting a best picture and a best actress nod for pregnant and popular Natalie Portman. Another favorite, True Grit, got a best actor nod for Jeff Bridges and best supporting actress for precocious Hailee Steinfeld, best picture, best director, and a ton of technical awards.